I’m guessing I'm a lot like you. I'm an average man in my early 30s. I'm not a professional athlete, I have never made a penny from training, I have no formal qualifications in any area concerning physical health and training. So with all that said why did I bother to write this and why should you bother to read? I wrote it because I have learned so much over the past 4 years. I have seen that despite being busy and living a reasonably normal life and not turning my life upside down to train I have still seen progress, I have still got stronger, built muscle and endurance. I have learned from others, I have learned by doing, and I wanted to pass on all I have learned with others who want to begin a similar journey. Simple Guys Fitness are keen to show that everyone can get stronger and fitter with bodyweight training. 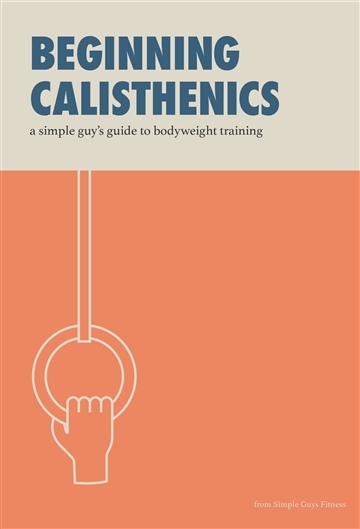 Everyday calisthenics for everyday people. We're keen to show you that you don't need to turn your life upside down to get hours in the gym every day, you don't need to spend loads of money on complicated equipment and you don't need a cupboard full supplements either. All you need is to set some goals, have a routine and maintain some discipline.